Explanation: What surrounds the florid Rosette nebula? To better picture this area of the sky, the famous flowery emission nebula on the far right has been captured recently in a deep and dramatic wide field image that features several other sky highlights. Designated NGC 2237, the center of the Rosette nebula is populated by the bright blue stars of open cluster NGC 2244, whose winds and energetic light are evacuating the nebula's center. 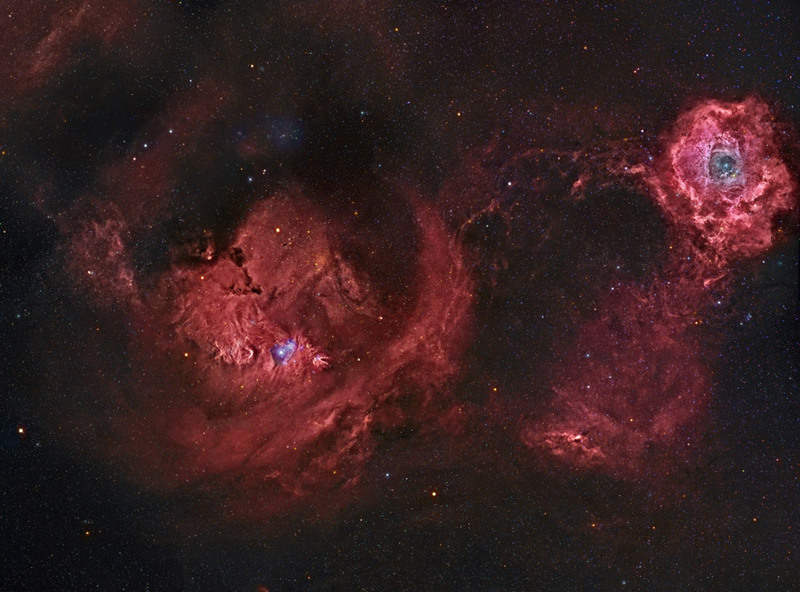 Below the famous flower, a symbol of Valentine's Day, is a column of dust and gas that appears like a rose's stem but extends hundreds of light years. Across the above image, the bright blue star just left and below the center is called S Monocerotis. The star is part of the open cluster of stars labelled NGC 2264 and known as the Snowflake cluster. To the right of S Mon is a dark pointy featured called the Cone nebula, a nebula likely shaped by winds flowing out a massive star obscured by dust. To the left of S Mon is the Fox Fur nebula, a tumultuous region created by the rapidly evolving Snowflake cluster. 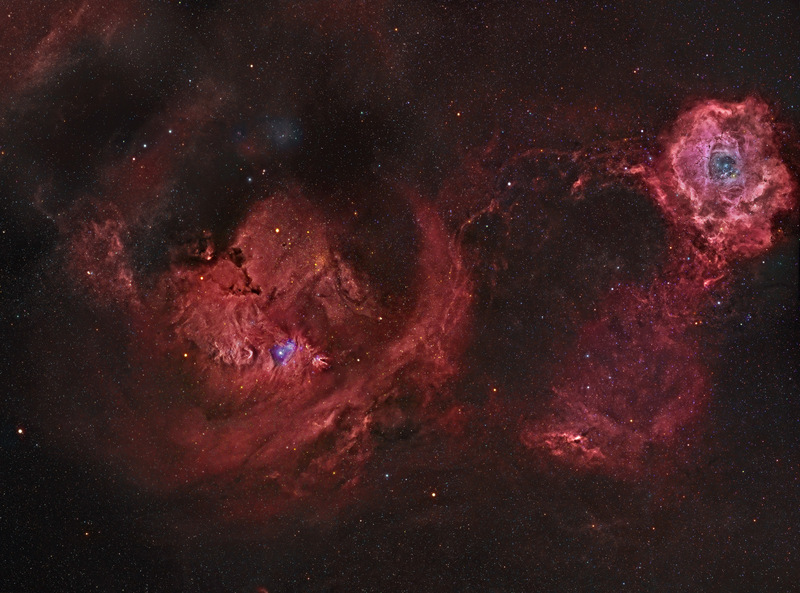 The Rosette region, at about 5,000 light years distant, is about twice as far away as the region surrounding S Mon. The entire field can be seen with a small telescope toward the constellation of the Unicorn (Monoceros).